Designer Mare Fee – $1000. Scribbles had a perlino tobiano stud colt out of buckskin dun AQHA stallion “Dunit In Boom Town”, we have decided to keep this amazing colt as a stallion prospect and so mom is for sale, bred back the same way for 2013. 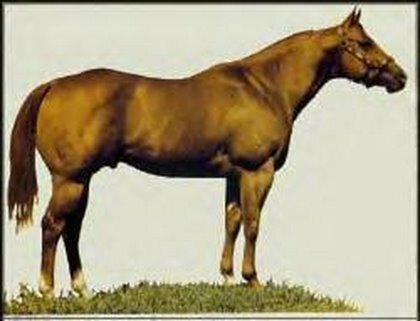 This is one of the best producing mares around. Scribbles with her 2012 perlino tobiano stud colt. She is such a great mama, an easy breeder, an easy foaler, she’s never had any problems foaling or breeding, catches on foal heat or regular heat, never missed a year. Foals out easily, lots of milk, good mom to her babies and the people around. Scribbles and Luiah in June 2011. 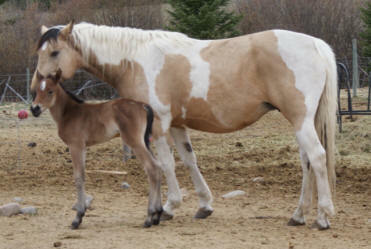 Scribbles with her 2011 Buckskin APHA filly foaled just before Midnight on Easter Sunday. Luiah is a sweetheart and we will be keeping her. 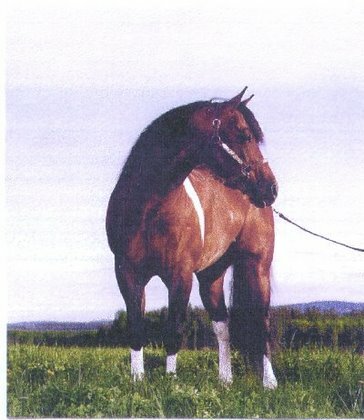 Scribbles and her 2010 foal up in Dawson Creek while getting bred to Snuffy. 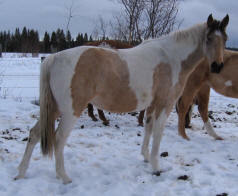 Scribbles in foal, December 2010. Here is Scribbles running for her grain with her 2010 filly just hours old. Scribbles and Carey in the pasture, July 2008. Scribbles is a wonderful mare, not only are her bloodlines, conformation and colour great, but so is her disposition; just what we look for in our broodmares. And her babies are just as great and so friendly and easy to work with. 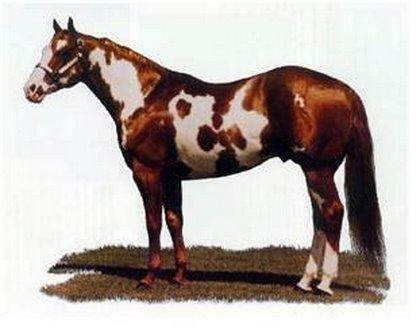 She stands 15.3hh and has beautiful, correct, strong bone and conformation. With bloodlines going back to Mr Cagey Jack, Two Eyed Jack, Joe Hancock, Skipper W, Leo, Scribbles, The Intimidator, Vandy, Sugar Bars, Three Bars, Old Sorrel, Old Tom Cat, Poco Bueno, Otoe, and Joe Reed she’s an excellent cross with either of our stallions. 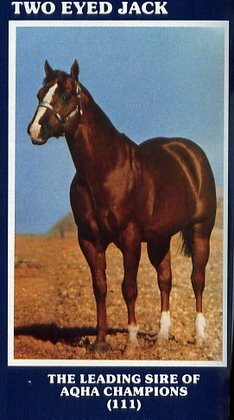 Scribbles pedigree goes back to champions in halter, reining, trail, barrel racing, pole bending, western/english pleasure and horsemanship, dressage, hunter under saddle, and more. 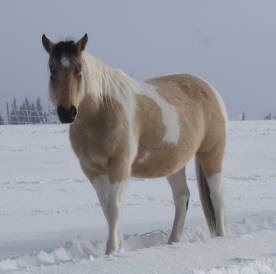 She’ll make the perfect cross with our stallions to foal all around versatile colourful champion horses. 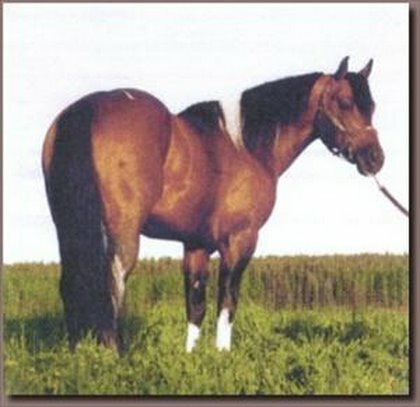 She is also going to make a great broodmare as her bloodline is VERY strong in the Tobiano and buckskin/black colours. 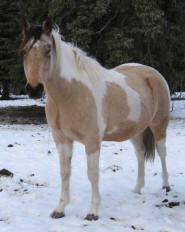 Scribbles was a new member to our herd in the spring of 2005. 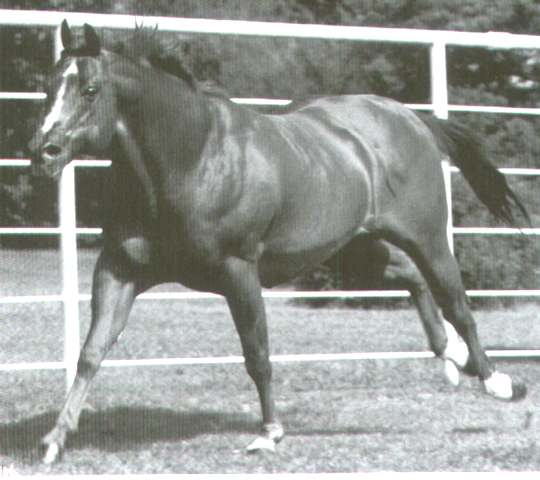 She was purchased for use as a broodmare, but we thought we would start her. She is very quiet, calm and accepting. 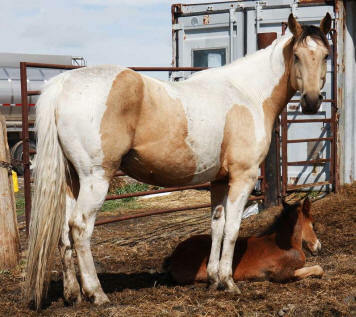 She would make an excellent roping or barrel horse, and we know her babies will be just as good. 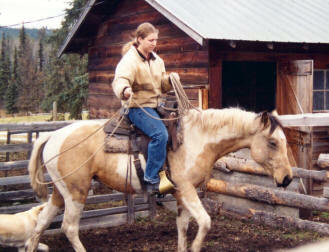 Here I am riding Scribbles for her very first time. She took everything very well.